One of the most infiuential artists of the 20th century, Martha Graham revolutionized modern dance during her 75-year career. Through her 200 dance works, her much-studied technique, and unique and powerful passion as a dancer, she had an enduring effect not only on dance but on all the American fine arts. The oldest of three sisters, Graham was born on May 11, 1894, in Allegheny, Pennsylvania. Even as a small child, she found stifiing the puritanical society of her hometown. Martha’s youth was brightened, however, by her physician father, whom she loved and revered. She credited him with the observation that would guide her life—“Movement never lies.” Although the context in which he said this is unclear, his words inspired her always to place emotional honesty at the core of her art. In 1909, Graham’s life changed dramatically following her family’s move to Santa Barbara, California. She bloomed in this setting, finding herself far more free to explore her creativity than she had been in New England. Although showing a decidedly artistic bent Graham received no formal dance training. Still, she was determined to pursue a dance career after her father took her to a concert of the Denishawn dancers when she was 17. Headed by RUTH ST. DENIS and Ted Shawn, Denishawn was the premier modern dance troupe of the day. Over her family’s objections, Graham went to Los Angeles to study at the Denishawn school in the summer of 1916. To her disappointment, St. Denis discounted her new pupil, because she considered the 21-year-old Graham far too old to become a serious student. St. Denis did, however, readily recruit Graham to fashion costumes for the company, which ignited her lifelong fascination with costume design. had to model furs and perform in Radio City Music Hall extravaganzas to earn enough money to survive while she pursued her new goal. In April 1926, she borrowed $1,000 to fund her debut concert, which featured herself and three students as the performers. Graham’s early works were experimental and bold. Although they seemed obscure and inaccessible to many, she soon attracted a crowd of devoted fans. Somber and stark, her dances dealt with emotions, but only in their most abstracted form. In Lamentation (1930), for example, she performed a solo while encased in a tube of stretch jersey. She pushed her limbs against the confining fabric to express the agony of grief. Perhaps her greatest work of this period was Primitive Mysteries, which was staged in New York by the Dance Repertory Theater in 1931. Inspired by a trip to the Southwest, the dance drew from the Indian and Spanish religious rituals of the region. It was also deeply infiuenced by the composer, Louis Horst, who was also Graham’s lover. Horst encouraged Graham to commission music with strong, simple instrumentation that would serve to focus attention on the dance itself. In her own choreography, Graham consciously worked to eliminate the fussiness she saw in both ballet and the Denishawn tradition. Her movements were not pretty or delicate. They were powerful and intense, drawing from the animal-like ferocity Graham lent to her own performances. The technique she developed was also well suited to her body type. Though only a petite 5’2”, Graham had an extraordinarily strong torso and back. These attributes were crucial to her theory of “contraction and release,” which called for a dancer’s body first to cave in at the center, then to open outward. Graham also favored angular positions for the arms and legs. She became so associated with angularity that one critic quipped that if she ever became pregnant, she would give birth to a cube. In 1936, Graham’s artistic direction changed suddenly when she met a young dancer named Erick Hawkins. She brought Hawkins into her company, which previously had been made up exclusively of women. His addition gave her new avenues for choreography as she began creating dances with herself and Hawkins as the principals. More important, her intense love for Hawkins, whom she would marry in 1948, moved her away from an abstraction of feelings to a more direct expression of human emotions. Hawkins first appeared with Graham in American Document (1938), which was her first major success. The inventive work incorporated elements of the minstrel show to comment on racial injustice. It also signaled her growing interest in American themes, which culminated in Appalachian Spring (1944). Graham’s most famous work, this classic is arguably the best-loved dance piece of the twentieth century. Set to a score by Aaron Copland, it depicts the marriage of a frontier bride and groom, roles originated by Graham and Hawkins. The stark set design was also one of the many fruitful collaborations between Graham and sculptor Isamu Noguchi. Noguchi’s minimalist sets for Graham would have an extraordinary impact internationally on both dance and theater. In the late 1940s, Graham headed into a new and extraordinary phase of her career. Drawing on her fascination with Jungian psychology and Greek myths, she began to look to Greek tragedies for inspiration. Monumental and highly emotional, many of her works during this period presented these stories from a woman’s point of view. After several dark years, Graham began to apply her indomitable will to a new project—preserving her legacy as a choreographer. In the mid-1970s, she began revisiting her earlier works, adapting and reinterpreting them for other dancers. She also consciously started to project to the public a persona as a living legend. Often photographed in glamour shots, Graham took to making provocatively cryptic pronouncements to the press. This era in her career was dubbed by some as her “Halston period,” after one of her many celebrity friends, the fashion designer Halston, who once created gold lamé costumes for her company. While cementing her place in dance history, Graham also was developing new dance works. For some of the most noteworthy, she abandoned her practice of commissioning scores and instead built choreography around existing musical works. For instance, The Rite of Spring (1984) offered Graham’s own interpretation of Igor Stravinsky’s classic, while her last work, Maple Leaf Rag (1990), drew on her love of Scott Joplin’s ragtime compositions. On April 1, 1991, Graham’s long career came to an end with her death at age 96. Internationally hailed as a genius, she left virtually no aspect of dance untouched by her infiuence. As a choreographer, she gave the world hundreds of dance works, many of which are still staged by dance companies around the globe. As a teacher, she defined a technique that has become part of nearly every professional dancer’s education. And as a performer, she set a standard of discipline, commitment, and passion that continues to inspire artists in all fields. De Mille, Agnes. 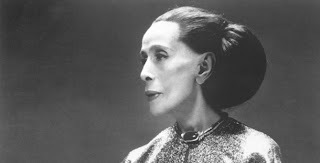 Martha: The Life and Works of Martha Graham. New York: Random House, 1991. Stodelle, Ernestine. 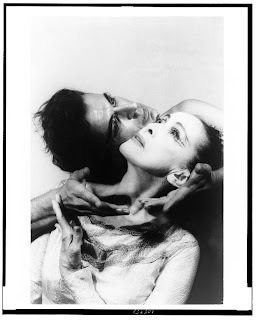 Deep Song: The Dance Story of Martha Graham. New York: Schirmer Books, 1984. Tracy, Robert. Goddess: Martha Graham’s Dancers Remember. New York: Limelight Editions, 1997. 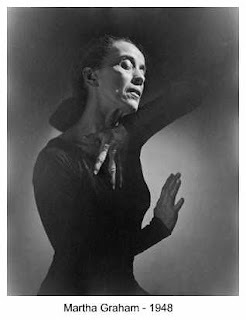 Martha Graham: The Dancer Revealed. Kultur Video, VHS, 1994. 3 by Martha Graham. Pyramid Home Video, VHS, 1991.